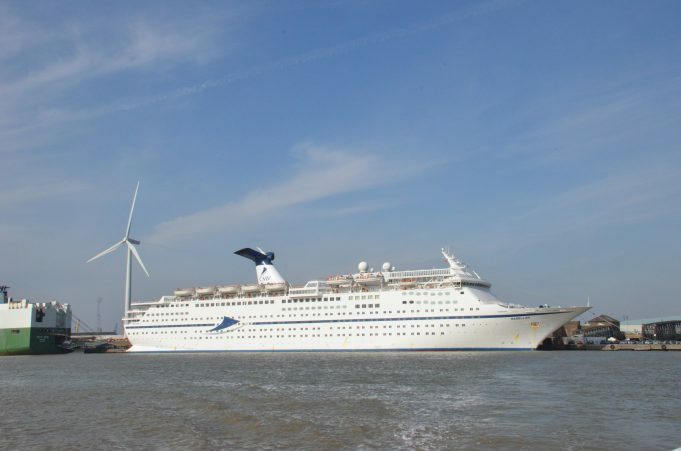 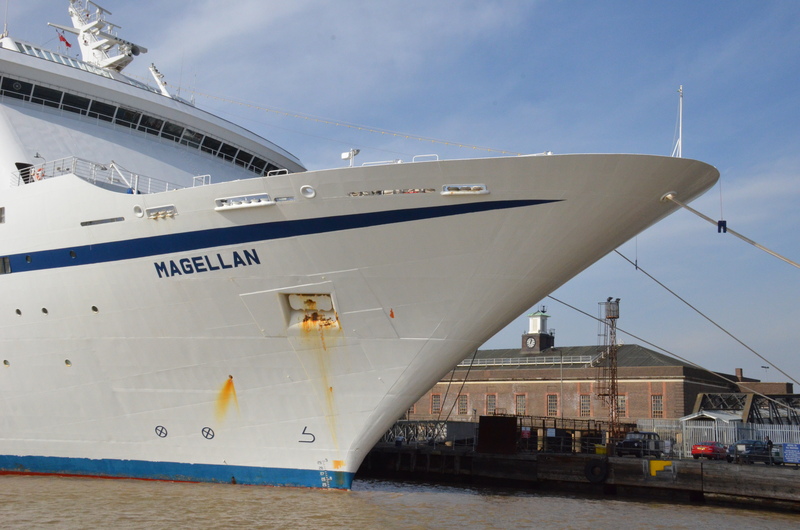 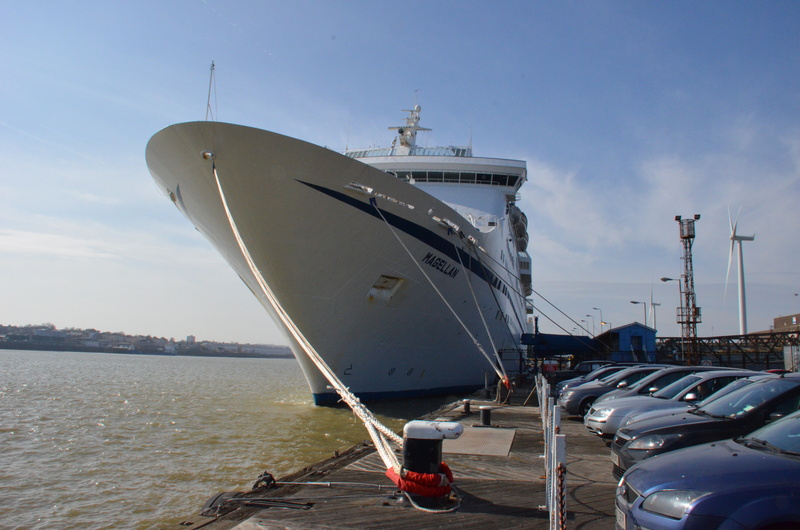 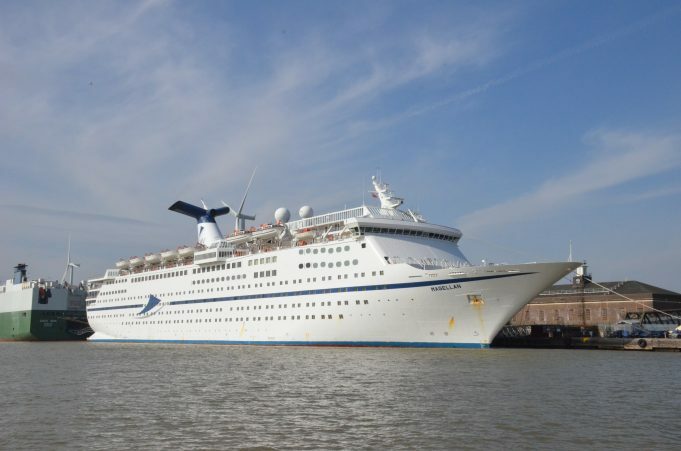 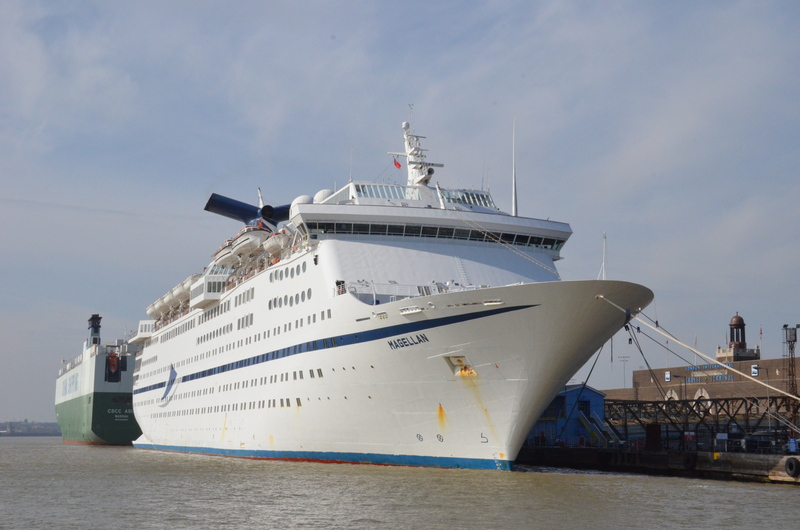 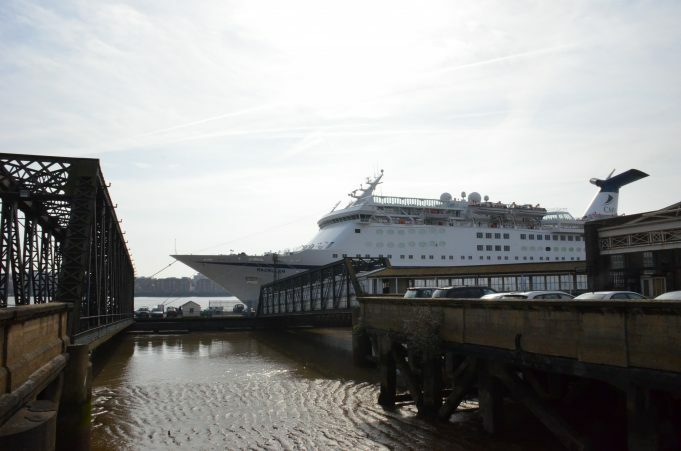 The cruise ship MAGELLAN on Tilbury Landing stage for the first time on 11/3/2015. She was built in 1985 at 46,052 grt. 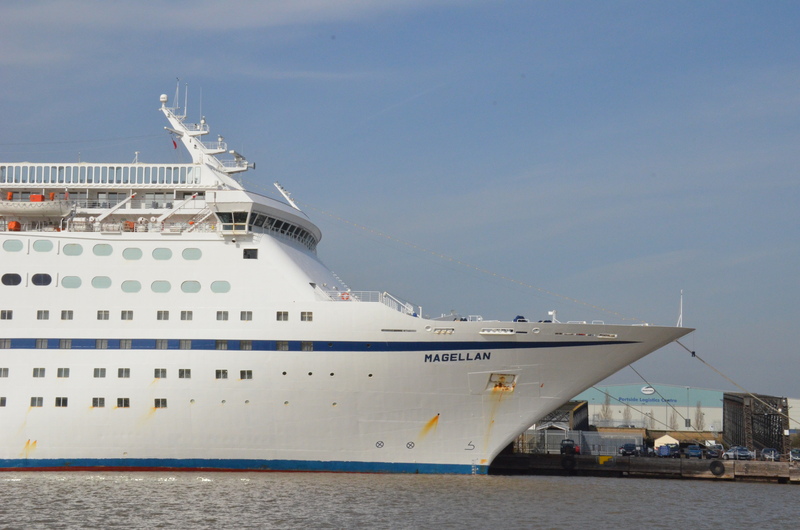 Her original name being GRAND HOLIDAY. I understand that she will sail to ICELAND and the FAROES to view the solar eclipse and the northen lights.